It can't be a halloween party unless my guests get a little trick or treat! 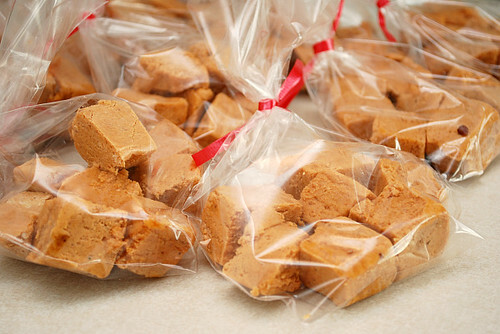 I made some spice pumpkin fudge for friends to take home. It was super easy to make and has the delicious flavor of spiced pumpkin in a creamy texture. I found this recipe online through Libby's site. This was the first time I ever used marshmallow "fluff" to make fudge and I thought it really added a nice soft and creamy texture to the fudge. One thing I did differently from the original recipe was to use Wilton candy melts in place of the white chocolate chips. I used one package of Wilton's candy melts in the orange color. Using the orange colored candy melts added additional color to the fudge. This would make for a nice treat for the upcoming Thanksgiving holidays too! I love pumpkin fudge, but I've never seen a recipe for it. Thanks for sharing - I'll have to try it! 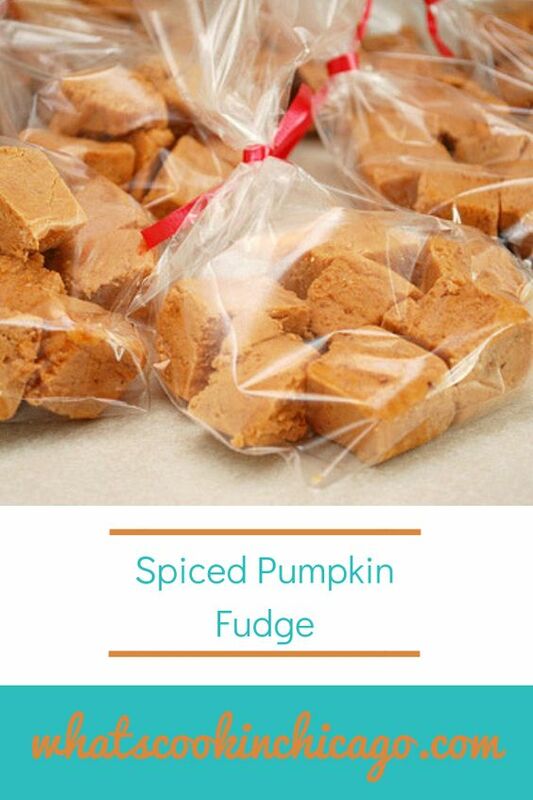 I've never heard of pumpkin fudge before, but I'm sure I'd like it!